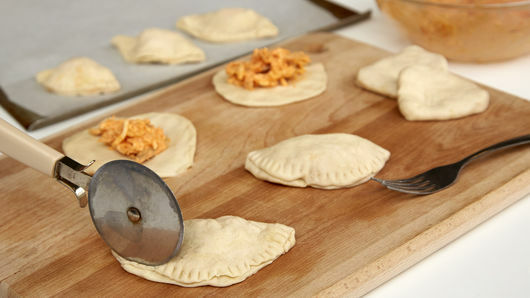 In small, resealable freezer bag, add 2 tablespoons softened cream cheese, and cut small corner from one end of bag. 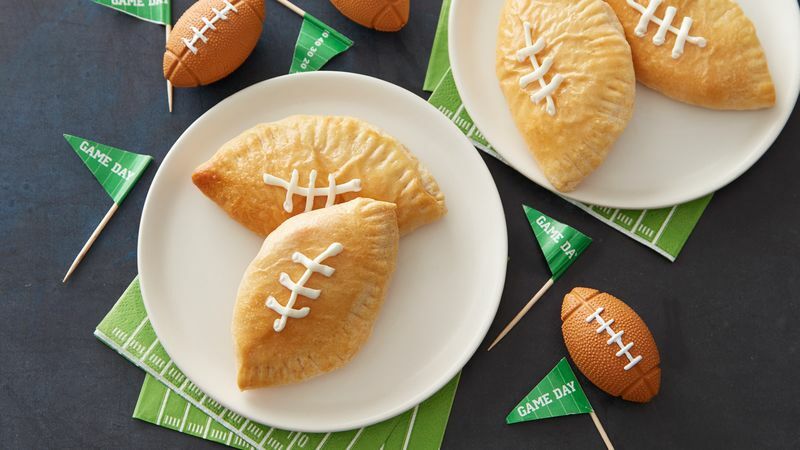 Squeeze 1 line of cream cheese crosswise and 4 lines lengthwise to make laces of football on top of each calzone. Serve warm. 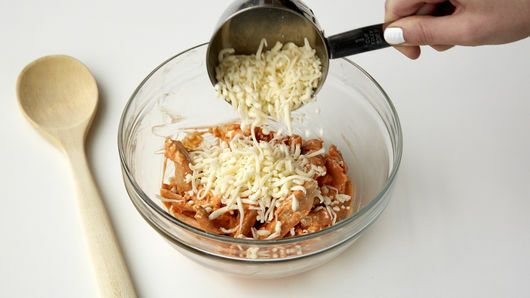 If desired, add 2 tablespoons crumbled blue cheese to the Buffalo chicken mixture. 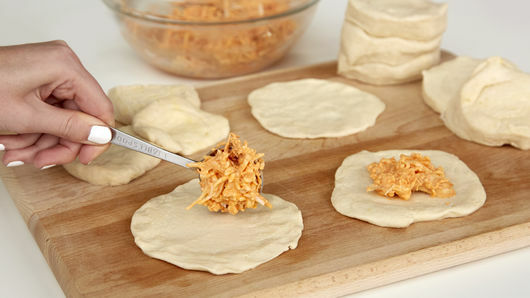 Serve with additional sauce, if desired.